The Goldert Grand Cru is located on the east facing vineyard next to the village of Gueberschwihr. Its deep marl limestone soil makes it usually less precocious. However, in 2015, this vineyard didn’t suffer from drought and the heat allowed these grapes to ripen very fast. Usually harvested much later than Turckheim, the Goldert was actually harvested first. The Oolithic limestone is made of compacted minuscule little shells (visible with a 10X magnifying lens) and provides a formidable potential. Despite the high ripeness level, this wine fermented slowly and quite far, producing a wonderful dry style Muscat. 8/2017: bright pale yellow colour. The nose is already very intense and powerful, so expressive and quite amazing. 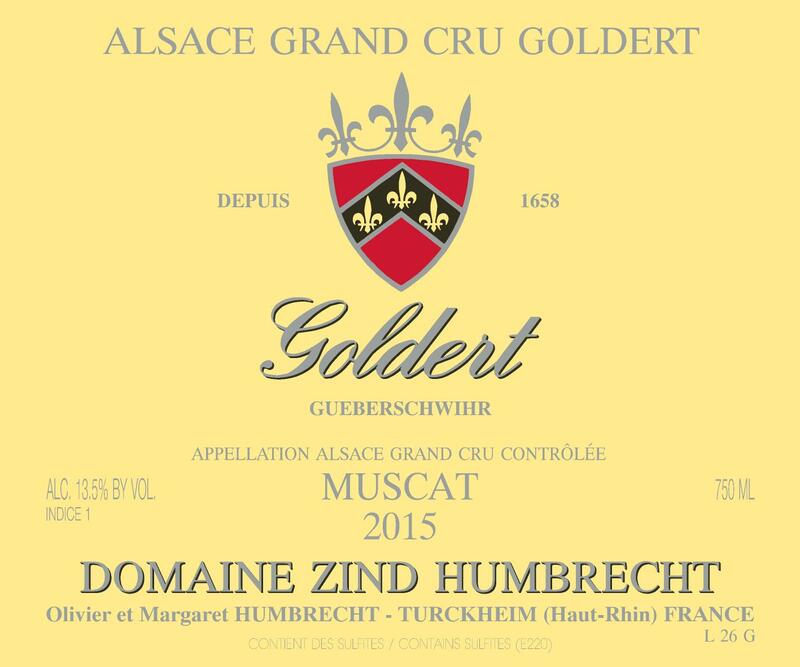 Goldert is normally quite austere young, the varietal characteristics are discreet. However, the 2015 manages to combine an impressive fruity nose with a high feel of limestone severity. The palate shows the true character of the vineyard: power but yet so elegant and easy to drink. The acidity is very pure and ripe, bringing delicacy to the finish. Amazing to see how this wine changed in the past two years, from reductive to utterly attractive! Voluminous palate, long lasting finish and like most 2015, there is a great structuring tannic mouthfeel. To keep!